Designed specifically for 3rd gen Toyota 4Runners. Laser cut and press bent out of 11 gauge HRPO steel. Welded for extra strength. The mount attaches to the bolts for the rear hatch bump stop. No drilling is required! 1989 THRU 1994 TOYOTA 4RUNNER. 1989 THRU 1995 TOYOTA PICKUP. MANHATTAN BEACH TOYOTA. The Toyota Tacoma (12-Current) / 4Runner (10 - Current) / Tundra (14 - Current) Fog Pocket Kit allows you to mount 2 Squadron Series auxiliary lights in the factory location. This Plug and Play kit includes two Squadron Sport Amber Wide Cornering lights. Brackets are constructed from 12ga steel for durability and strength. 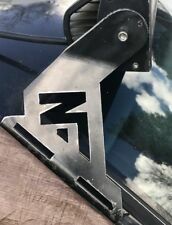 This product has been fitted to 1990-1995 Toyota 4Runner and pick-up for use with a 42” (straight) light bar. Pair of Park Signal. Front Marker Light Assemblies. Our hours of operation are. 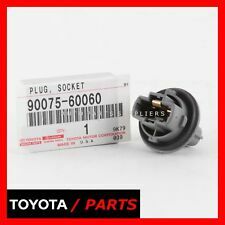 This is the genuine Toyota Turn Signal Wiper Combination Switch for the following Toyota Models You are purchasing parts & accessories from Royal South Toyota Scion. Royal South Toyota is your Authorized Toyota & Scion Parts Dealer. Front Marker Light Assemblies. Pair of Signal. Our hours of operation are. See photos for condition ! - The third level quality part. - The second level quality part. It is of average miles and normal condition for its age. - The highest quality part. It is of low miles and/or exceptional condition for its age. Front Marker Light Assembly. Passenger's side Signal. We will respond in the order which your inquiry was received. Our hours of operation are. Part Location: Rear. We are aU.S. VEHICLES ONLY. Product Type: Reflector Lights | Replaces: 81580-60111 8158060111 TO1185101 | Position: Passenger Side | Bulb Included: Yes | Quantity: 1 | Source: Aftermarket . Rear Bumper Mounted Reflector. 2003 2004 2005 Toyota 4Runner. One Reflector Only (RH ). IF NEED Reflector. Passenger Side. High Quality. Driver's side Signal Light Assembly. We will respond in the order which your inquiry was received. Our hours of operation are. FITS 4RUNNER 2003-2009. 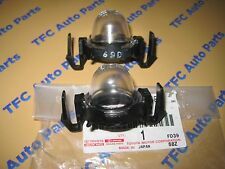 INCLUDES BOTH LAMP HOUSINGS, BOTH LENSES, AND BOTH GASKETS. Factory Toyota Dealer. 100% Authentic and genuine. Scion FR-S. Land Cruiser. FJ Cruiser. Pair of Park Signal Corner Marker Light Assemblies. Our hours of operation are with Painted Trim. Match reference numbers from the Item specifics section above. 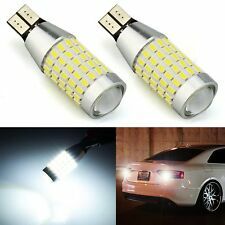 Product Type: Reflector Lights | Replaces: 81590-60141 8159060141 TO1184101 | Position: Driver Side | Bulb Included: Yes | Quantity: 1 | Source: Aftermarket . TOYOTA 4RUNNER. 1990 - 1995 TOYOTA 4RUNNER. 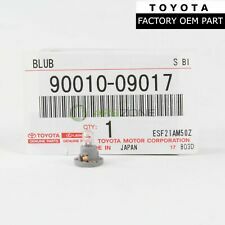 TOYOTA SCION GENUINE OEM PART NO. 89127. Head Lights. Tail Lights. Mirror Interior. Mirror Exterior. Sun Visors. (ModelPickup, 4Runner. To Fit MakeToyota. We are willing to find an amicable solution for you. i) Item in original condition with no defects (other than those already inherent upon receipt). Country/Region of ManufactureThailand. 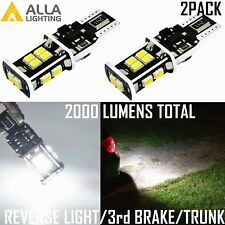 Product Type: Reflector Lights | Replaces: 81580-60111 8159060141 8158060111 TO1185101 81590-60141 | Position: Both Sides | Bulb Included: Yes | Quantity: 2 | Source: Aftermarket . 2003 - 2005 Toyota 4Runner. Driver, Left Side Rear Bumper Reflector. 2003 2004 and 2005 Toyota 4Runner. 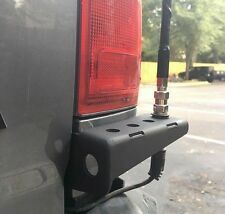 ThisBumper Reflector L amp fits. (On Rear Bumper). FITS: TOYOTA;03-09 4 RUNNER. THIRD BRAKE LIGHT ASSEMBLY. We specialize in parts for Camaro and Firebirds. BROCK'S CAMARO & FIREBIRD PARTS. Wiring Harness Included: Yes. Width: 2.11 In. Connector Gender: Female. 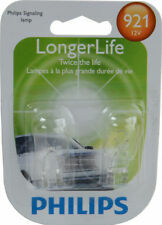 Passenger's side Signal Marker Light Assembly. We will respond in the order which your inquiry was received. Our hours of operation are. 2003 2004 2005 Toyota 4Runner. Rear Bumper Mounted Reflector. One Reflector Only ( LH ). IF NEED Reflector. Driver Side. If Look for other option. P/L#TO1184101.